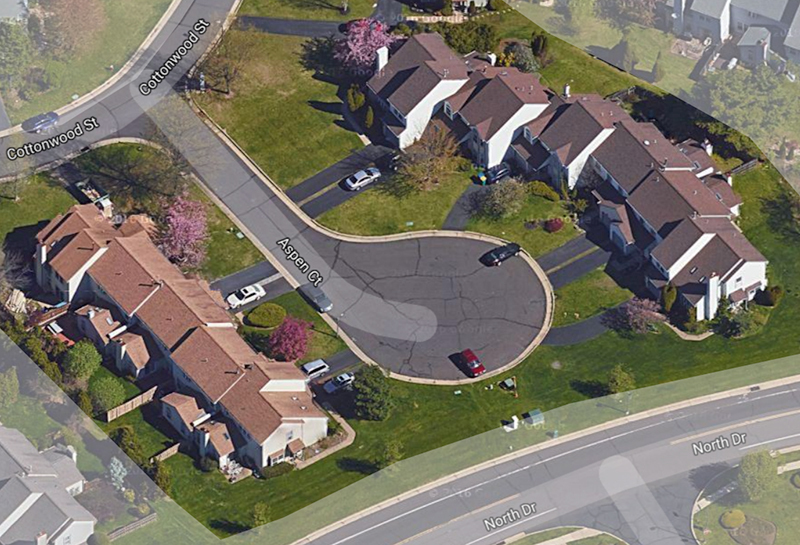 Aspen Court is a residential cul-de-sac in the Whispering Wood section of the Newtown Grant subdivision in Bucks County, PA. It has 2 townhome clusters; 1 six-unit and 1 five-unit. They were built in 1987, have 2 to 3 bedrooms, and range from approximately 1,900 to 2,200 sq. ft.
Plans to Sell in Newtown Grant? Take advantage of Debra's more than 30 years of brokering & investing experience in Bucks County homes of all types. Phone today (215‑801‑7661) to arrange a confidential, no-obligation marketing and pricing recommendation.